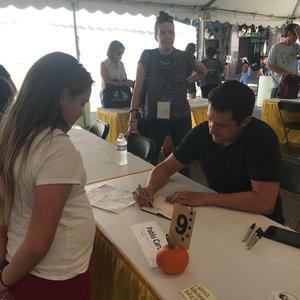 Four Manor ISD students got the chance to introduce two author panels at the 2018 Texas Book Festival Oct. 26-27. Diana Lopez's new book Lucky Luna and Kate Beasley's Lions and Liars. Anyra Davis, Azriel Clemente-Rivera, and, Zuriah Traylor, from Blake Manor Elementary School, introduced Sharon Draper, a five-time Coretta Scott King Award-winning author. 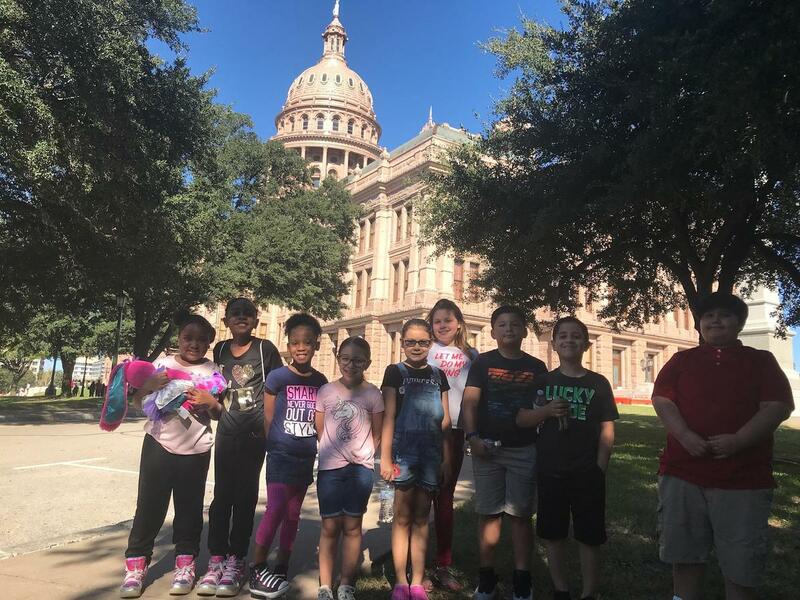 This honor was a part of a trip wherein 9 MISD students were selected to attend the 2018 Texas Book Festival. 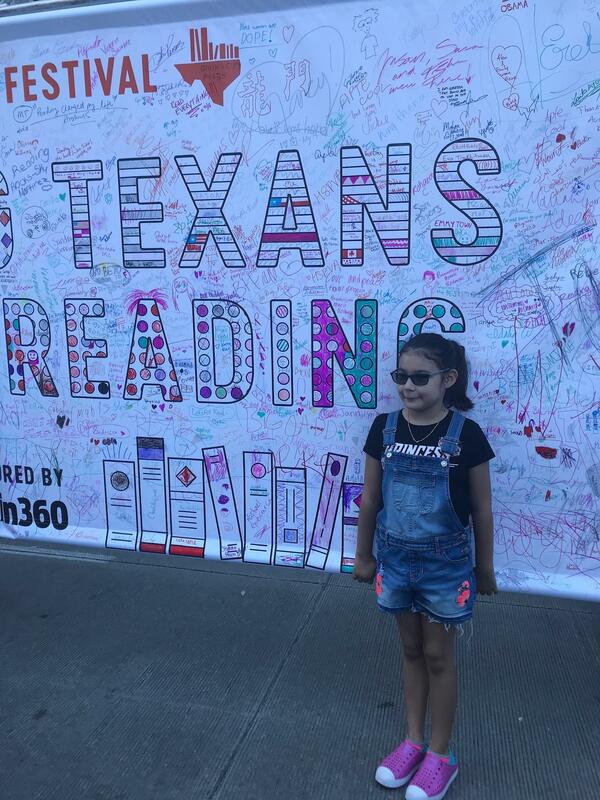 The annual Texas Book Festival is held each year at the state capitol and features over 250 well known and often-awarded authors. During the Texas Book Festival, students were able to meet nine authors, hear two panels, create arts and crafts in the children’s tent, and tour the capitol including the State House of Representatives and Senate chambers. Manor students got to be a part to one of the most prestigious book festivals in the country. 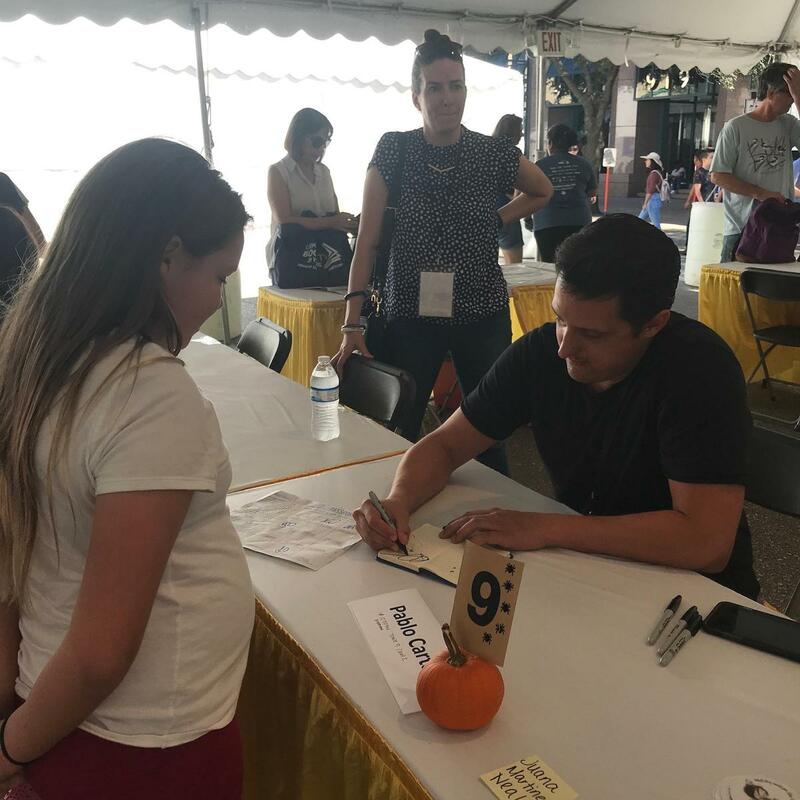 The students asked wonderful questions about the writing process and the work of award-winning authors. One student, Jose Rivera, was even given a signed book by Kate Beasley because of his thoughtful questions. 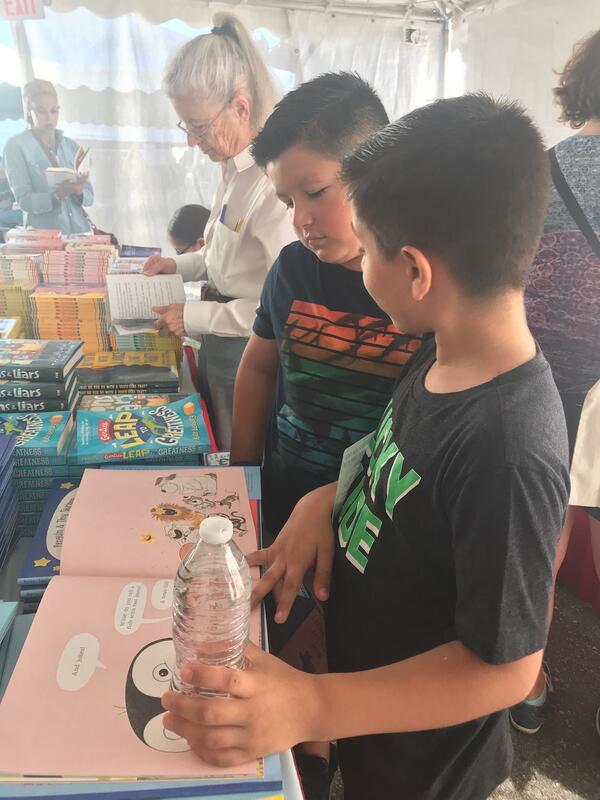 We look forward to expanding this program next year and bringing more students and families to the book festival! Thank you to the families who attended with us in 2018! We hope you will join us again next year.